Here in Portland, at least, there are lots of Pedestrian Crossing signs that have had hula hoops added to them. 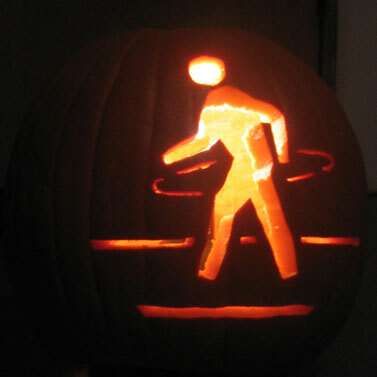 One passerby saw this pumpkin and said, "Cool! String Cheese Incident!"